A SEPTA Regional Rail train at Jefferson Station. 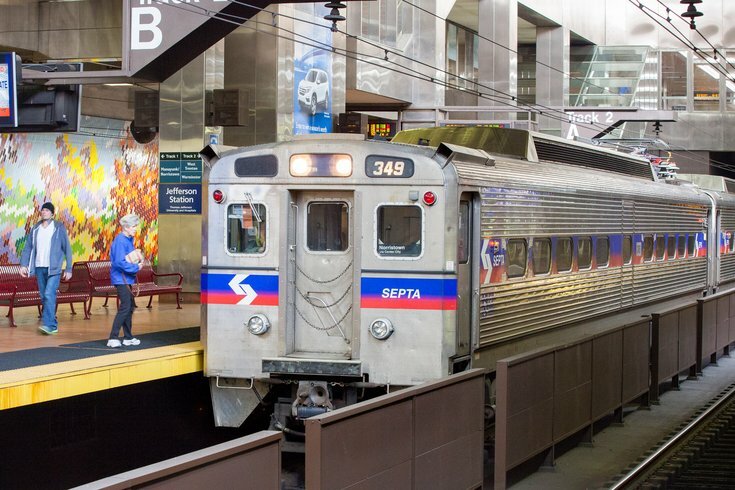 Everyone headed back to their workday commute after the long July 4 weekend probably faced a not-so-surprising reality at their local SEPTA stops: pricier fare rates that kicked off on the first of the month. There's hope that these pricier fares will align with some other updates to SEPTA as well, however. Specifically, SEPTA riders could start receiving more accurate information about their bus, trolley or train's whereabouts very soon. To anyone familiar with waiting on a platform and hearing that dreaded buzz drone over the speakers to say trains are running “approximately 15 to 50 minutes late,” or some similarly vague declaration, you’re probably familiar with how helpless that wait can feel. It can be even worse when it’s delayed and you’re actually on the bus or train. SEPTA’s app, as it stands now, offers a map of SEPTA locations for Regional Rail but doesn’t always include delays and canceled trains in the map. Users can be looking at an entirely inaccurate "real-time" map when they use the app's TrainView or TransitView features. SEPTA is now making moves toward implementing real-time data and providing more accurate information to its riders. According to Philly.com, $5.6 million has been invested in incorporating cellular modems on buses and trolleys to give users updated information every 30 seconds. That information could be in effect by the end of July, with a fuller implementation ready by the end of the summer. The feature won’t be immediately working for underground subways or trolleys, however. Though the use of smartphones is unquestionably more ubiquitous today than ever before, there is some concern over the accessibility of this data to non-smartphone users, as well as users who aren’t familiar with or use the SEPTA app. Philly.com reported SEPTA currently has 135,000 users of its app.